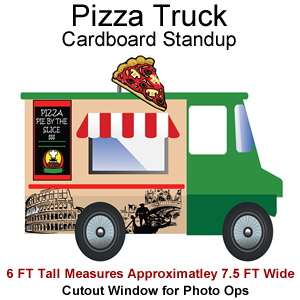 Pizza Truck Cardboard Cutout Standup Prop - Dino Rentos Studios, INC.
Make every day Pizza Day with our Pizza Truck Cardboard Cutout Standup Prop! Perfect for Photo Ops! 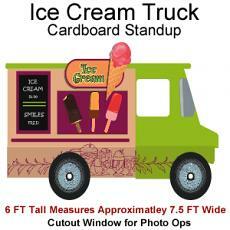 Stand behind Pizza Truck window for a great photo setup! 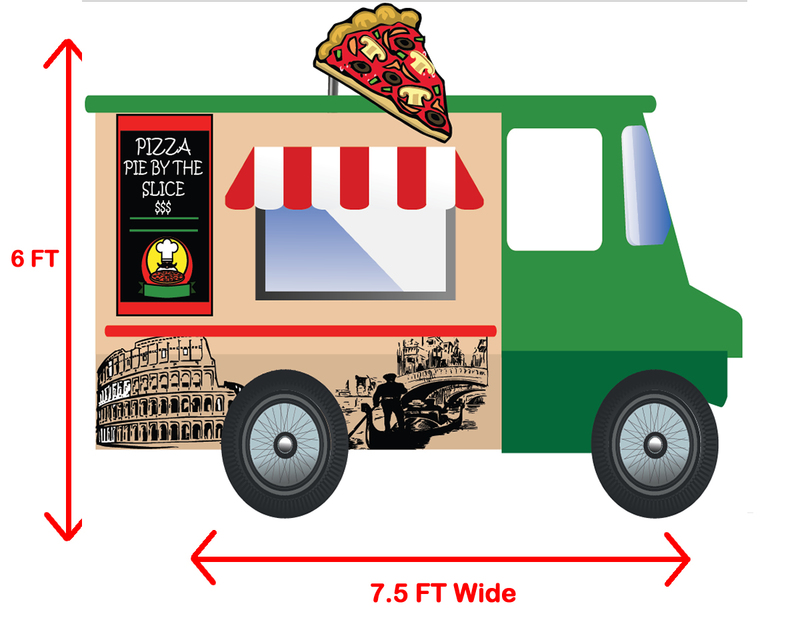 Piza Truck measures 6ft in height and approximately 7.5ft in width.